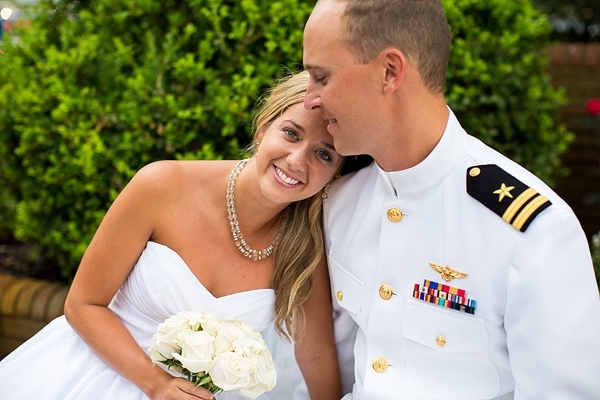 Anna and Rob met at a party when attending the University of Virginia. They were instantly drawn to one another, and Rob liked how Anna challenged him in all the wonderful ways only the woman of your dreams can do. 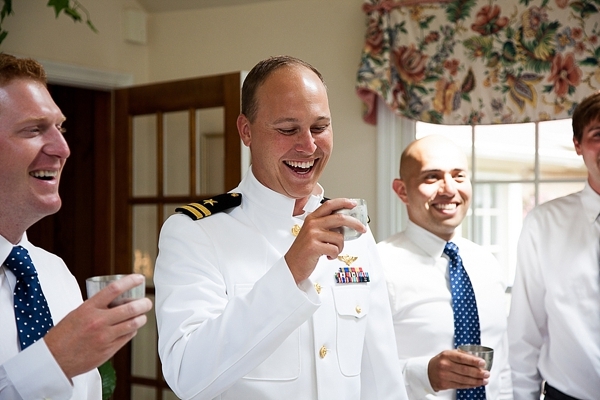 And like most military families, once he graduated, Rob followed in his father and brother's footsteps and became a Naval Aviator, serving and protecting our troops in Iraq and Afghanistan. Growing up in Virginia Beach, Rob wanted to get married in the church where he was raised, so in honor of his family's traditional beach week, he and Anna created a special weeklong wedding celebration leading up to the big day that included a luau and a BBQ. 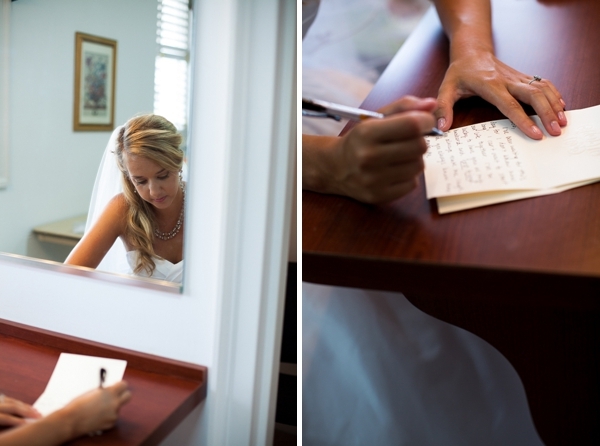 Instead of a First Look, these two lovebirds opted to exchange notes to one another-- a sweet detail that blends classic and modern traditions. 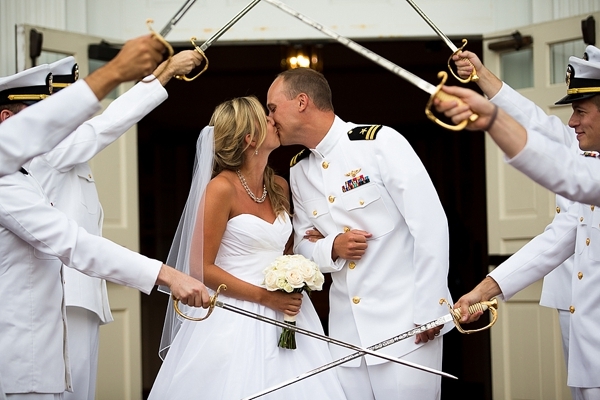 All captured by Leigh Skaggs Photography and The Girl Tyler, Anna recalled her other favorite highlights of the day were when they looked out at the congregation during the ceremony and saw all their loved ones, the first kiss as husband and wife, and the post-ceremonial sword arch. Who really can say no to a sword arch? 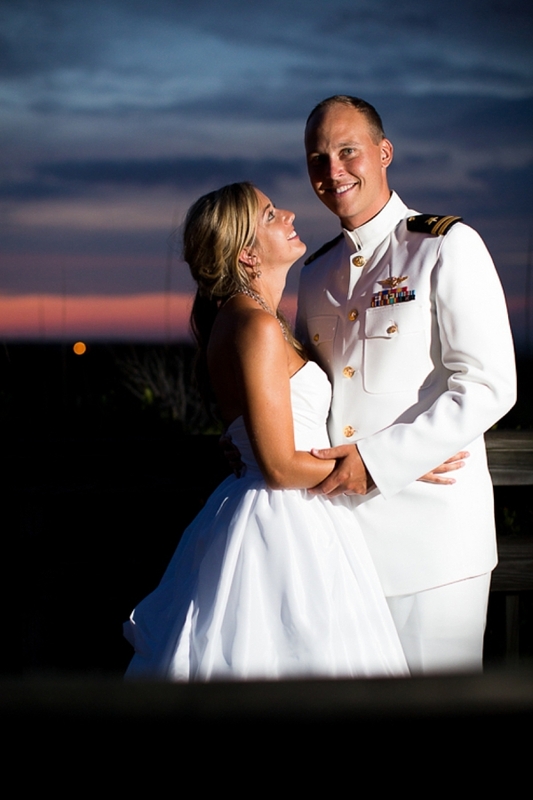 One of the best parts of a military wedding, I say! Three cheers, Anna and Lt. Rob!